Four years ago I stood on the bima and said, “We now come to the part of our Yom Kippur service, when everyone is thinking, ‘Ahh, I do not have to stand up and then sit down every other minute. 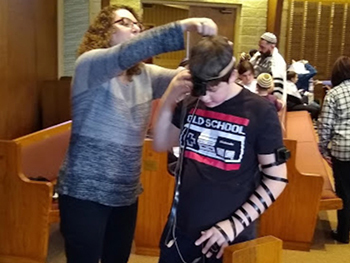 I can sit back and relax, maybe close my eyes and take a little nap.’” While I am sure all have come today with a idea of what your commitment to the synagogue’s appeal will be, I will not mind if you take a nap, as long as you double your commitment! 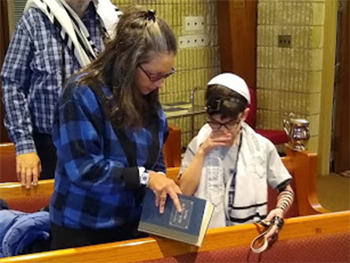 It is my honor to give this ENJC Yom Kippur appeal. Today, in giving the Yom Kippur appeal, I want to “appeal” to each and every one of you. My appeal to you is to HELP US HELP YOU! ENJC is now in its 62nd year of existence! Obviously we have been doing something right, and we are continuing to do so. I am very excited to be your ENJC president again. We have a wonderful staff, with Mary, our executive secretary, Fran, our Religious School principal, Emily, our Religious School secretary, and our custodians, Glenn and Lou, under the leadership of Todd. Next time you are in the building, please say Thank You to them! 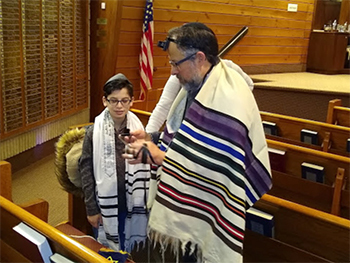 Thank you as well to Rabbi and Cantor Magarik, and the numerous congregants that have led and participated in our services. I want to thank all the people of ENJC who have helped make this the “hamish” synagogue that we are today. Rather than run the risk of upsetting someone by not naming them, I will not to mention any names individually this year. You know who you are. 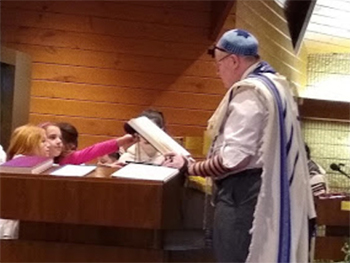 Whether you help financially with your generous donations, you come to for daily minyan, Shabbat or Sunday morning services, are on the board as a VP or trustee, or if you are one of the many that we know we can call and you will be here for whatever needs to be done, Thank You! And a very special thank you to all who have contributed in any way to this year’s High Holiday services–be it coordinating babysitting, the various children services, ushering, all the honors and aliyahs, to chair and book set-up, sukkot set-up and all those small important details that I am sure that I left off. If you are not involved, it is time to get involved. We can never have enough people to help. Everything is easy when there are many to do it. It is necessary to spend money in order to save money going forward. We have been making improvements throughout the building. We are in the process of changing all of our lighting to LED. Our major expense is the roof. We have recently sealed the portion of our roof over the ballroom area where there had been numerous leaks. Fortunately, because we invested in this project, despite the heavy rains of late, we now have a dry ballroom. We need to continue this project to repair the remainder of the roof area. I want to remind all that our Yom Kippur appeal is the ENJC’s major fund raiser of the year. Please be generous. Please help by increasing your donation this year. I would rather try to raise the money through this appeal than find it necessary to add an additional surcharge to your bill. So now it’s time to wake up. Remember my deal–if you sleep, you have committed to doubling your Yom Kippur contribution. And because I must admit that I am guilty of falling asleep in prior years, I, too, will double my contribution this year. Of course doubling your donation is not limited to those who fell asleep. Remember the roof project!